Improved support for WooCommerce 3.x. We cleaned up the code, to leverage the new functions and features provided by WooCommerce 3.0 and later. This makes the gateway more compatible with future WooCommerce versions. Note: starting with this update, the First Data/Authipay plugin requires WooCommerce 3.0 or newer. Older versions are no longer supported. Improved settings page. We improved the logic that validates the settings before allowing the merchant to save them. This will reduce the confusion caused by conditions in which the settings were apparently saved correctly, but the Currency Switcher reported errors related to them. Additionally, when Open Exchange Rates is the selected FX rates provider, the new logic prompts the merchant to enter an API key for that service, or to select another provider. This will make sure that the FX rates will be fetched correctly. Removed notice related to the conversion of shipping costs in WooCommerce 3.2. In some circumstances, the conversion of shipping costs could trigger a notice related to deprecated elements in WooCommerce 3.2. The notice didn’t necessarily cause any issue, but it could increase the size of the log file. We added a check to prevent that from occurring. 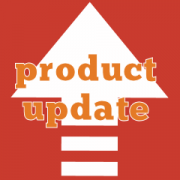 Improved compatibility with WooCommerce 3.2. The latest version of WooCommerce introduces some breaking changes that affect the calculation of shipping. The changes prevented the Currency Switcher from converting the shipping costs to the active currency. This issue has now been covered. Improved support for unique mini-cart IDs. WooCommerce 3.1.x introduced a new logic to identify the content of the mini-cart, using a unique identifier for each session. We updated our plugin to take this into account, and ensure that the mini-cart contents are updated as needed, showing amounts in the correct currency.